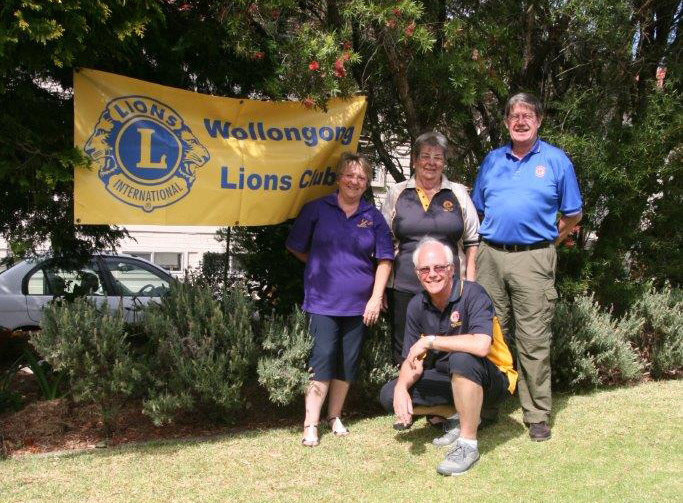 Peter has been an active member of Wollongong Heights Lions and Wollongong Lions for nearly 39 years. “Being a Lions Club member is extremely rewarding because we know the money we raise will assist those who need it the most,” he said. Lions Clubs have a purpose of ethics which are, to assist financially, culturally, socially, and morally the people with disability, disadvantaged and infirm of the community. Peter recalls a Club meeting in 2009 where a local TAD volunteer spoke about Freedom Wheels. Shortly after around 15 Lions Clubs came together to help raise funds to support Freedom Wheels. This generous support expanded even further in 2012 with a total of 65 Lions Clubs and six Lioness clubs backing the program. Next year we will celebrate 10 years of this kind affiliation. “Without our financial support, some families may have to wait a long time for funding. This may mean that the Freedom Wheels bike can’t be delivered for a birthday or Christmas. And so, we wanted to step in and help on these occasions so that the family doesn’t have to worry about where the money will come from,” said Peter. When asked if he recalled a particular child he’d met or bike he had delivered Peter said, “for me, one of the many memories that stands out is when my wife and I delivered a bike to a little boy. He got on the bike and couldn’t wait for us to move our car. He rode around and around the driveway. Then his brothers came out and got on their bikes and started riding with him. It can be quite emotional when a bike is delivered, I always receive positive comments from Club members,” said Peter. On behalf of the families we support, thank you to Peter and the other members for their wonderful work.